Science! Good Heavens, Miss Yakimoto! Biosphere 2 suffered from CO2 levels that “fluctuated wildly” and most of the vertebrate species and all of the pollinating insects died. 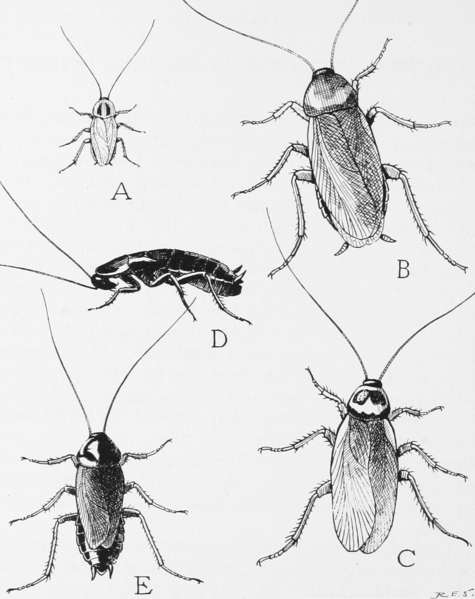 Insect pests, like cockroaches, boomed. In practice, ants, a companion to one of the tree species (Cecropia) in the Rain Forest, had been introduced. By 1993 the tramp ant species Paratrechina longicornis, local to the area had been unintentionally sealed in and had come to dominate. Hey, look! A five course meal! I had a terrarium as a kid, once, in 6th grade, sealed up as tight as I could make it. Within a few months, everything in it big enough to see with the naked eye died, except for the earthworms. Got me some sludgy mud and big ol’ earthworms by the time I gave up. Fed the worms to my frog. Many years later, I was amused that Biosphere 2 had somewhat similar results. Has anyone ever run a successful long-term, large scale (or any scale) closed-system greenhouse/terrarium experiment? One sufficient for a breeding group of people to live in? I’ve never heard of one. Perhaps we should do so, before we start hollowing out asteroids, giving them a nice spin along their long axis, and then dumping plants, wildlife and people inside and fusion-powering them off to the stars. Or building one on Mars. Can’t help but wonder: perhaps the smallest scale a closed-system greenhouse works for meaningful lengths of time is planetary. Maybe closed means ‘except for solar and cosmic radiation, and occasional asteroids and comets, if it’s going to work. Maybe occasional 300 million year long ice ages or a freakishly large moon are required? Only way to find out is to, you know, build one. Don’t get me wrong: I’d be as thrilled as the next geek if we were able to pull off an artificial earth on Mars or inside some giant spaceship or asteroid. I’d just like to see a proof of concept first. 2. Stand-up Comic with a Degree in Mechanical Engineering Debate Some Woman With an Art Degree About Global Warming. The quality of our public discourse never ceases to amaze. During interglacials, such as the present one, the climate warms and the tundra recedes polewards following the ice sheets. Forests return to areas that once supported tundra vegetation. So it seems we needn’t be surprised that glaciers are melting, as this seems to be a feature of interglacial periods (hence, the name). Now, it would be prudent to plan for the decrease in fresh water supplies in those areas where glaciers both supply that water and are likely to disappear. And there may be a lag between when the glaciers disappear and the earth’s crust rebounds from the distortion having those glaciers causes, thus roughly neutralizing the presumed increase in sea level. We’d need to keep an eye on that, although prudence would also dictate attention be paid to the coastal areas that are sinking as a result of the mantle rebounding from the distortions caused by massive ice sheets. England, which was largely under an ice sheet up until about 11.000 years ago, is both rising and sinking, so that sea level changes at any one spot on the coast don’t tell you much about overall sea level. When Finland lost its ice sheet, most of it was briefly shallow seafloor. Now, not so much. A giant carnivorous dinosaur apparently possessed an enormous power to heal its broken bones, thanks to new findings revealed by powerful X-rays, researchers say. OK, so – these ‘enormous’ healing powers were due to new finding revealed by powerful X-rays? Sort of like the Incredible Hulk? Author Joseph MoorePosted on May 7, 2014 May 7, 2014 Categories Science! Next Next post: Science! She’s Tidied Up and I Can’t *FIND* Anything!